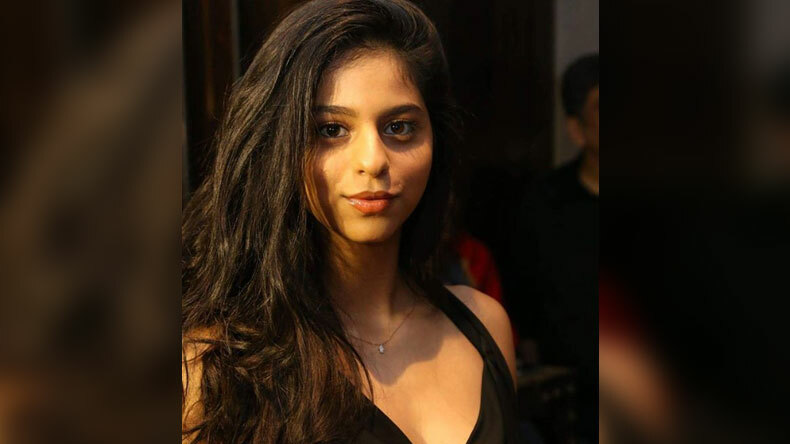 Shah Rukh Khan’s princess Suhana Khan’s latest picture is all about class! Shah Rukh Khan's loving daughter Suhana Khan is yet again making headlines! Stealing all the limelight, the diva is impressing fans with her glamorous looks. Princess of a Bollywood superstar, Suhana Khan definitely lives a fairytale life with a million of eyes on her and the diva owns it every time. This time, the diva looked absolutely gorgeous as she posed for a selfie with her friend. Donning an off-shoulder shimmery dress, Suhana Khan can be seen in a stunning avatar! Bollywood is full of gorgeous and talented star kids who are on their way to the industry. One of the most adorable star kids is Shah Rukh Khan’s daughter Suhana Khan who keeps on topping headlines for her sensational photographs. The diva is a Bollywood actor is making and there has been news that she performs in theatres too. Well, with her charming persona, Suhana Khan is yet again on the buzz creator list. Princess of a Bollywood superstar, Suhana Khan definitely lives a fairytale life with a million of eyes on her and the diva owns it every time. With her utmost elegance and class, Suhana Khan slays every outfit she wears. The starlet has a lot of hot and happening photos surfacing on the internet. Adding one more gem to the collection, a picture of Suhana is getting viral on the internet. Enjoying a perfect Sunday with friends, the diva updated her social media profile. The young lady is currently staying in London for pursuing her higher studies and gets snapped enjoying with her BFFs every now and then. Recently, she was also captured with the Bollywood debutant Ananya Panday and the duo was seen laughing and giggling, having a lot of fun together. This time, the diva looked absolutely gorgeous as she posed for a selfie with her friend. Donning an off-shoulder shimmery dress, Suhana Khan can be seen in a stunning avatar! Letting her hair open, Suhana Khan is amping her look a lot more. Take a look at the astonishing selfie of Suhana Khan’s perfect Sunday! Well, the picture was posted by one of the fan pages of Suhana Khan. This glamorous look of Suhana Khan impressed all her fans and people can’t stop commenting on it. As the diva is soon going to step into Bollywood too, she has already started multiplying her fanbase. The Instagram timeline of Suhana Khan is flooded with these hot and happening photos. Recently, one of her spectacular clicks took the internet by a storm. In the photo, Suhana Khan can be seen donning a white off-shoulder top and posing for the camera. Accentuating her curves, the diva is raising the heat. Completing her look with a minimal touch of makeup and reddish pink matte lipstick, Suhana Khan looked absolutely amazing!